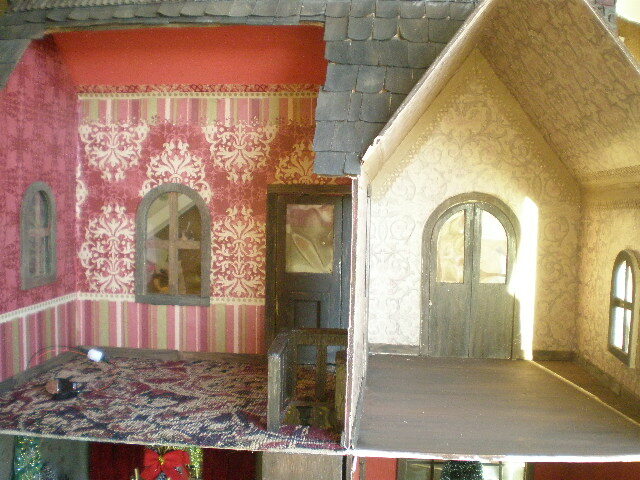 I've been working on the two upstairs rooms in the Christmas Carol Dollhouse. I decided to wallpaper them. 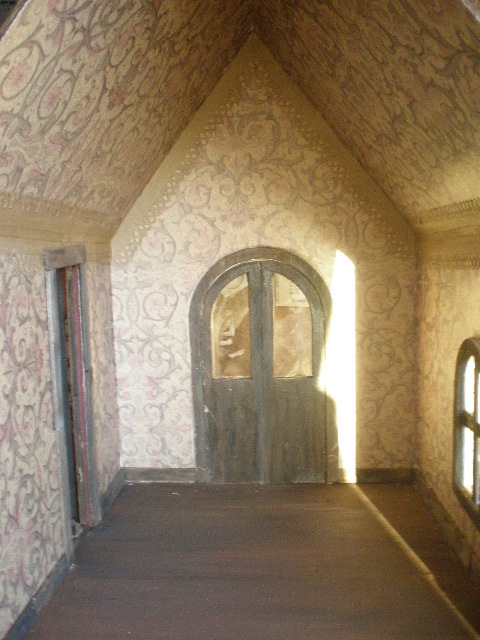 The first room I wallpapered with a gift bag! I loved the colors so much. It was perfect. So I cut it up and glued it on. The next room I used a type of tissue paper. It was completely Victorian and I just had to try it out. Both papers worked amazingly well! For the glue I used watered down Gorilla glue. It was super sticky and I was able to adjust the paper easily just like wallpaper paste. 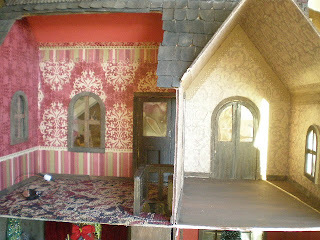 Special Thanks to Vivi for including the "Bewitched House" in her blog post! That is absolutely gorgeous! That's awesome that you're using items like that to wallpaper, so creative. Amazing! This is just beautiful! 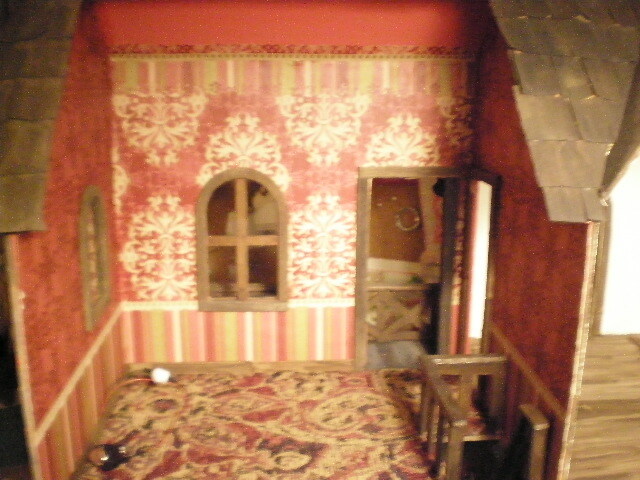 I love all the ideas for the wallpaper. Very creative. I love your wallpaper, how clever and it turned out fabulously well. Both of the papers worked out really well, really clever idea using the gift bag. Me encantan los papeles, quedan genial. Caroline! I have to catch up with your blog! I haven't visited in so long. 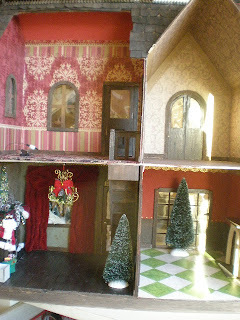 The house is really coming along nicely. LOVE the wallpaper! You are so artistic with such creative ideas.